Go Public Mestiso. Participants assess Mestiso 20 (M20), one of the hybrid rice varieties featured in the recent Hybrid Rice Derby: Provincial Hybrid Techno Forum in Sta. Maria, Agoo, La Union. A public hybrid, M20 yields 6.4-11.7t/ha and matures in 111 days. 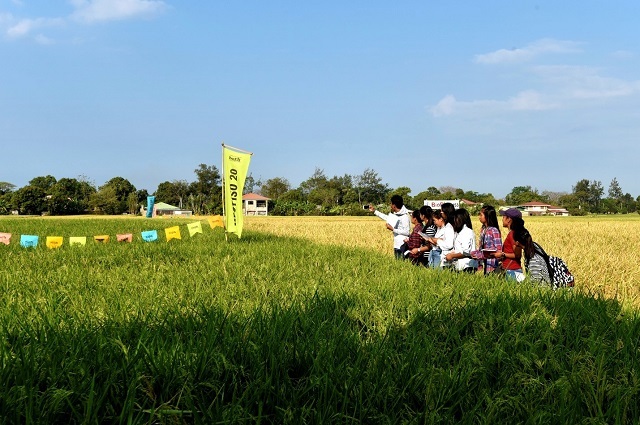 The event, participated by hundreds of rice farmers, researchers, agricultural technicians, and local officials aim to show the hybrids’ crop stand, reaction to pest, and panicle formation. PhilRice and UPLB bred Mestiso 20 (M20).